Great find, did you notice if they had any slow cookers reduced too? 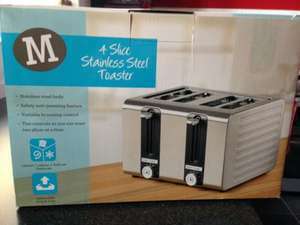 Mine has just gone faulty , only had it for 6months so aldi have offered a refund as they can't replace it due it being classed as a seasonal item. No I didn't notice if they had slow cookers on offer, sorry. Don't need one, but a very good deal. Has anyone got this? If so what do you think of it? Did you try at till or just go by fact they forgot to put the new price on? Its National.Did you try at till or just go by fact they forgot to put … Its National.Did you try at till or just go by fact they forgot to put the new price on? They are at the back. You had me worried there - a bit big to be shaking about.